Need a website? This Black Friday week, Websites Depot is offering great discounts on web design packages. Read on and receive this offer today! This is the perfect deal if you need a simple website that doesn’t require too much functionality. Kick-start your business with this great e-commerce package and start selling your products online. This special package enables for a robust e-commerce website with custom web design and extra functionality. Get your address listed locally in major business online directories. Research has shown that a higher number of local citations has helped businesses show up more prominently on web searches. Increase your online visibility through the power of Search Engine Optimzation(SEO). This deal allows for a 1-page website that is perfect for upcoming events, feature products or capturing customer emails. 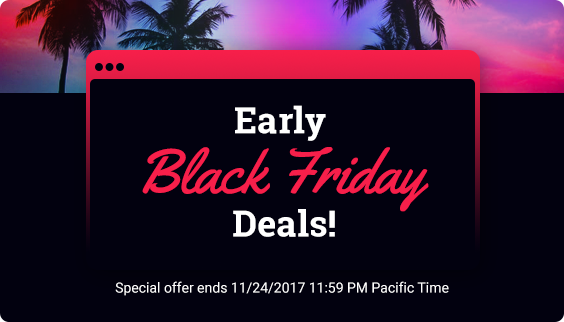 Special offer ends 11/24/2017 11:59 PM Pacific Time.